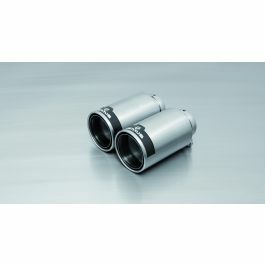 SKU: 0046 70S tail pipe set L/R consisting of 4 tail pipes Ø 102 mm angled, with adjustable spherical clamp connection + 36 546,96 руб. 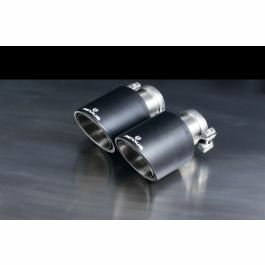 SKU: 0046 70CS tail pipe set L/R each 2 Carbon tail pipes Ø 102 mm angled, Titanium internals, with adjustable spherical clamp connection + 89 930,16 руб. 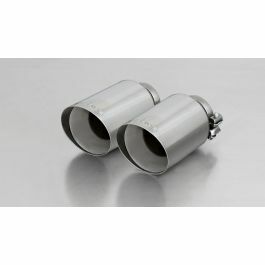 SKU: 0046 98C tail pipe set L/R consisting of 4 tail pipes Ø 98 mm Street Race, with adjustable spherical clamp connection + 47 634,24 руб. 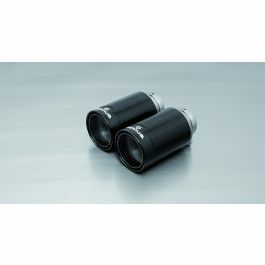 SKU: 0046 98CB tail pipe set L/R each 2 tail pipes Ø 98 mm Street Race Black Chrome, with adjustable spherical clamp connection + 52 561,92 руб. 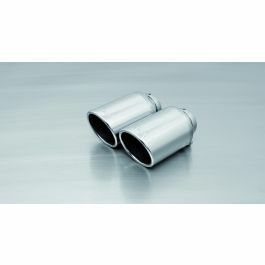 SKU: 0046 70SG tail pipe set L/R with each 2 tail pipes Ø 102 mm angled, straight cut, chromed, with adjustable spherical clamp connection + 31 619,28 руб.